Two additional Caricom (Caribbean Community/Caribbean Common Market) countries will be participating for the first time this year in the Dubai International Holy Qur’an Award. Grenada and Suriname have joined Barbados in sending huffaz (Qur’an memorizers) to the 16th session of the Award in Dubai. Barbados has participated every year in the Competition since 2003 and this year Hafiz Ayub Bhoola represents Barbados. 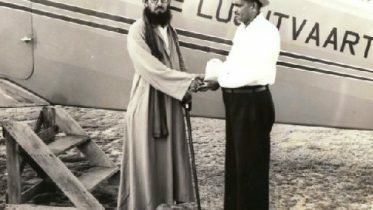 He was chosen ahead of two other memorizers of the Holy Qur’an at the first local Holy Qur’an Competition held in Barbados after last Ramadan. The Khaleej Times further reported: “Initial qualifying tests give memorizers a chance to go on a ‘rehearsal’ before sitting for final tests in front of the audience. They further help the organizing committee disqualify below-par contestants and set the daily schedule in a distinguished way to include excellent, good and medium competitors. Participants are also distributed in view of the countries. 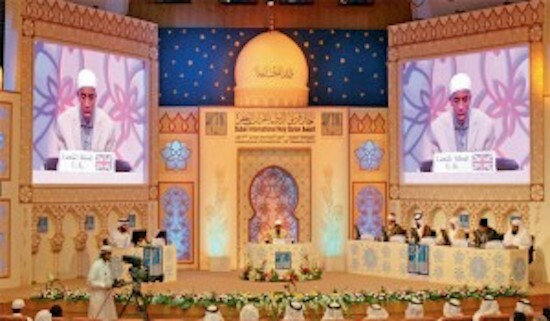 Be the first to comment on "THREE CARICOM PARTICIPANTS AT DUBAI QUR’AN RECITATION COMPETITION"